This spring, Choose to Blossom! March is here and we are celebrating women's day, spring equinox, mother's day and mother earth revival. Isn't it a beautiful month to celebrate yourself and to choose to rise and shine with this new green season? 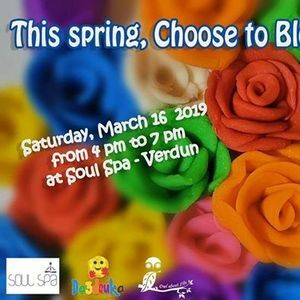 Da3douka and Owl About Life have decided to offer you a beautiful workshop inviting you to bloom and to enjoy your beautiful feminine sparkle! Offer yourself 2 beautiful and colorful hours to learn with Mireillee Hammal all about shining and blossoming as a woman so you may always be standing in your own light and with Afaf Balaa all about creating and ‎expanding with the wonderful Da3douka - Natural home made play dough. Who said play dough is only for kids? 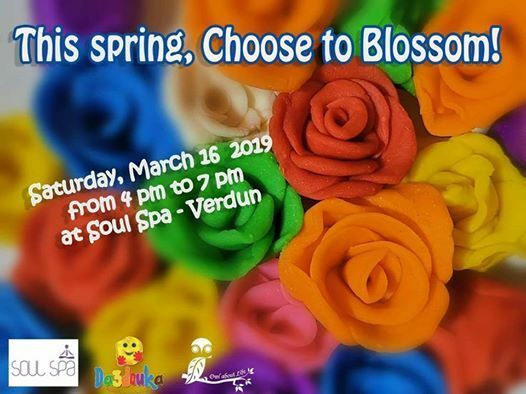 This spring, awaken your inner child who loves to jump amidst flowers and join Afaf and Mireillee at Soul Spa - Verdun to ‎create your own colorful garden ! 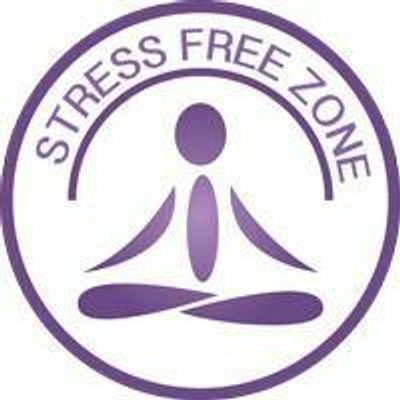 Women, it is time for you to relax, to be, to disconnect, to play and to create.. whether you are a mom, a single mom, married or single, choose to offer yourself this mindful workshop gift because women do deserve some "me time." Kindly note that this workshop is dedicated for Women of all ages starting 15 years. My Name is Mireillee Hammal Kassir. I am a mom for a beautiful Yasmina who's about to complete her 3rd year. My career path is about Healing, Coaching and Empowering. I am a Reiki Master and Teacher, a writer and a blogger. I do one-on-one energy healing sessions. Reiki is a beautiful healing modality that helps balancing energies in the body, relieving emotional and physical pain, enhancing spiritual connection and promoting self-awareness. As I describe it, it's a hug for the soul. Believing that life is meant to be beautiful, abundant and rewarding in all areas, I facilitate empowering workshops for moms, parents, men,women and children providing them tools to start believing in themselves as creative beings able to shine, to create and to achieve whatever they wish to accomplish in their life journey. The variety of the workshops I give helps people of all ages re-mapping their life and creating a new belief trusting that it's never too late to follow their dreams, to bring their talents to light, to change, to release and let go of what does not serve their body and their soul anymore. My name is Afaf Balaa. I’m a dedicated early childhood education professional with more than 15 years of field experience. I love to work with and for children. For this reason, I came up with practical initiatives such as a mobile workshop for kids wherever they are (birthdays, gardens, hospitals… etc.) and a natural homemade play dough that is made from food-grade ingredients. These projects were finalists in startup competitions and have been featured in Al Jazeera Satellite Channel. In addition, I worked in my domain as an instructor, trainer, and care giver at kindergartens and NGOs, which enabled me to interact effectively with parents and advise them – especially mothers – on best methodologies for raising their kids and developing their skills through meaningful and interactive games. This natural homemade play dough is exclusively made from 100% food-grade ingredients.Non-toxic, clean, and leaves no traces.